I really had to post the information about the new Game development course yesterday (Game Development with XNA Curriculum–Semester Course). I’m pretty excited about that material. Teacher developed and tested and aligned to standards. And it is game development. How cool is that? Closely related to that the opening of the new Imagine Cup US website (Blogged at Imagine Cup 2012–Changing The World For The Better last week). It’s not too soon to think about putting some student teams together for that. Most high school students we’ve seen have competed in the Game Design or IT Challenge.. I’m hoping we see some highly motivated students enter this year though. Of course I ran into more stuff than that last week. This week’ links include a number of opportunities for students and teachers. Start with the NCWIT Award for Aspirations in Computing for high school girls. The NCWIT Award for Aspirations in Computing honors young women active and interested in computing and technology. We are looking for next generation of technical talent. Award winners receive cool prizes, gadgets, scholarships and all girls can join a community of fellow technically-inclined young women..
And don’t forget the NFTE World Series of Innovation that I wrote about last week. It’s a really interesting set of challenges for students in a wide range of ages. Program Call for Participation ISTE 2012 Now open thru Oct. 5 San Diego here we come. Are you doing interesting things in your computer science courses? We really need more CS related presentations at ISTE. There are always a good bunch of CS teachers there looking for new ways to do things. These days I am part of a larger team than I used to. There are some 22 of use including our manager. Everyone has a blog. This is the complete list. Labor Day in the US means a three-day weekend and I took advantage of it. I’d like to make note of a couple of my recent posts that seem to have more in common now that I read all the comments on them than they did initially. Why are all programming languages in English? – 93 comments Something to make you think there for sure. Together I think they form the basis for a long discussion about programming languages, internationalization, ease of learning vs. ease of use and generally what are the philosophical and other social aspects of programming language design. It’s more than just technical questions. Interested in adding some cloud computing to your mobile device development? From Mark Hindsbo (@mhindsbo) I see that Microsoft has released an Azure toolkit to help bring the cloud to all devices with Android tools just released to join tools for iPhone and Windows Phone. Stuart Ball (via @Innovativeteach) announces more great Kinect stuff from the UK Partners in Learning Teachers K Team. 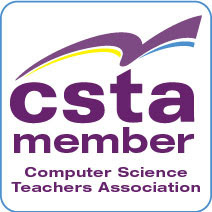 The latest ISTE SIG for Computer Teachers newsletter (PDF) is now available. As always some good information there. I’ve been a member of ISTE and SIGCT for years and find it well worth my time and energy BTW. Speaking of Microsoft Research (MSFTResearch ) last week they Tweeted a suggestion that people “Check out .NET Gadgeteer, a rapid prototyping device developed by Microsoft Research, now available commercially.” It’s a great new way to create programmable devices. Lots of good educational possibilities. The ever creative Vicki Davis (@coolcatteacher) blogged about “Our Freshman Software Exploration Project (6 Days of Wonder)” Of course I found her discussion of how they use Microsoft OneNote particularly interesting but she has more stuff as well. OneNote is one of Microsoft’s lesser known gems with huge value in education. 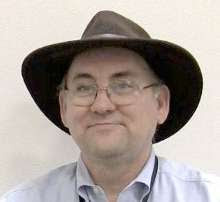 Chris Bowen (@ChrisBowen) is a developer evangelist at Microsoft and a great guy. He recently announced an upcoming New England Code Camp 16 - October 29th, Waltham, MA - Save the date! While most attendees are professional developers the sessions are wide ranging and I suspect a lot of educators and STUDENTS will find value in attending. Check out Chris’ blog post for more information. Want to become an entrepreneur? Watch @IEEEtv’s Young Entrepreneurs video sponsored by @Microsoft to learn what you need to make it happen. Girls Go Geek… Again! - Fog Creek Blog a great reminder that programming was once “women’s work” and that we really need to get women back into software.